All aboard the crazy train! Choo choo! I might buy this. [Update 10/11/18] Verbal offer accepted. Driving out Sunday to complete the purchase. 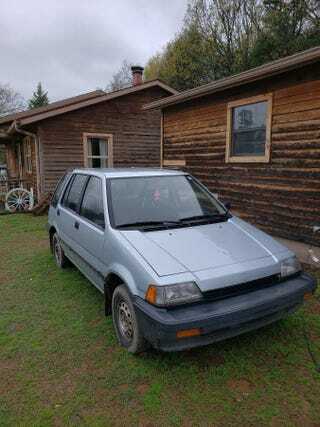 1986 Honda Civic Shuttlewagon. Pushbutton 4WD, 6-speed manual with “super low” gear. Doesn’t run “due to a carb problem” but the price seems reasonable at $2,000 OBO.